I think she's so beautiful. 60th Filmfare Awards on January 31, 2015. The people at HHC always pick on the glittery traditional-but-upscale stuff like this, but I love it, and Deepika wears it so well. She's in this ad with her father, Prakash Padukone (he was a former badminton player). I thought it was adorable. There were a lot of her 2015 events that I missed, so I'm going to add them here. 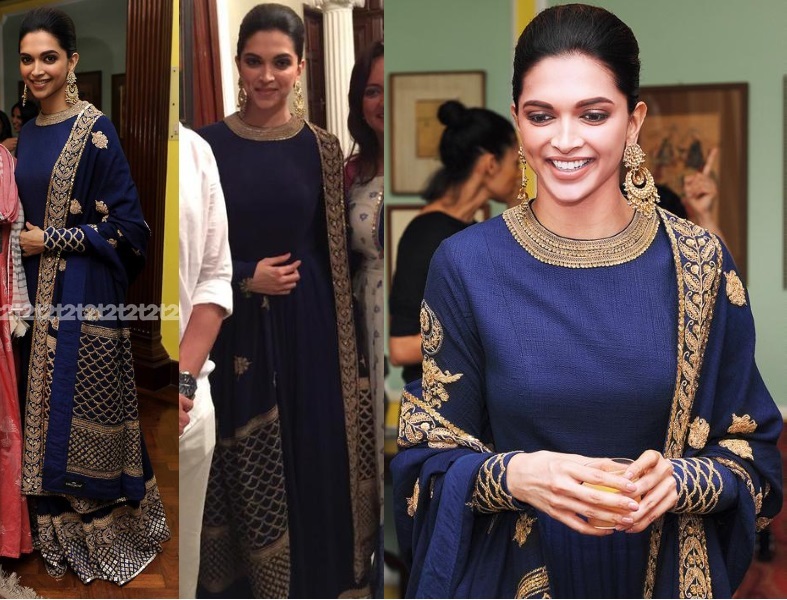 At the launch of one of Bajirao Mastani's songs (Deewani Mastani) on October 17, 2015.